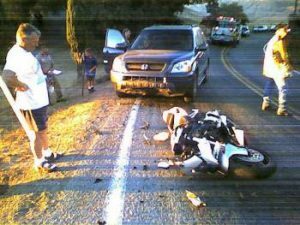 Hire An Experienced Motorcycle Accident Attorney Murrieta, CA. Many lives have been lost because of motorcycle accidents and many victims have endured pains from lacerations, broken bones and others. Should you be lucky to be alive, it’s only normal that someone has to pay for your troubles. You can with the aid of a motorcycle attorney, make a claim and get a decent settlement. If you are involved in this rather unfortunate incident, it is advisable that you seek the timely intervention of an accident attorney ASAP. Reason being that you ought to get full payment for your distress – yes, full settlement! Anywhere you are in California, even in Murrieta, CA, you can easily get an experienced at Rawa Law Group. When we work on your case, we ensure that you have a voice by letting know every single detail about how things unfold. We also show attention by making our lawyers available for home or hospital visitations and making our appointment hours with you very flexible. At Rawa Law Group, you have a chance to receive sound legal advice from our accident attorneys plus there are no hidden charges. You can consult us for no fee at all as we offer free case evaluation and only receive payment at the end after winning your case. If you need to hire an experienced motorcycle accident attorney in Murrieta, CA, please visit Rawa Law Group at the below address.